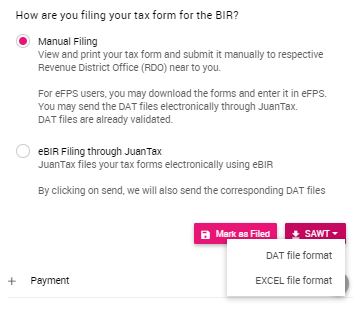 How to process SAWT files in JuanTax? SAWT or also known as Summary Alphalist of Withholding Tax at Source serves as a consolidated alphalist of withholding agents from whom income was received and are subjected to withholding agents in the process. 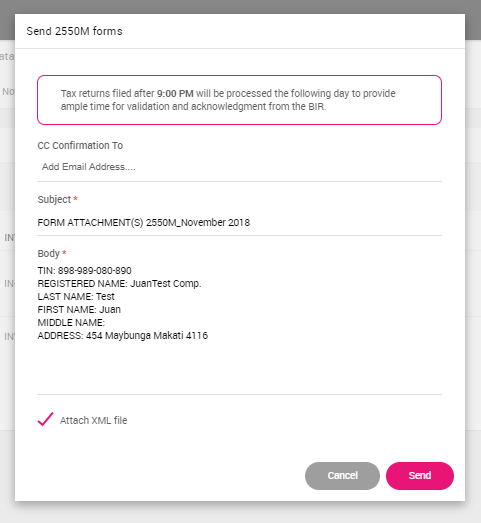 To access this file, you need to generate a Value Added Tax (VAT) report or Income Tax Return, then head on to its Filing Type section, once you start filing your return. You have the option of downloading the SAWT file in either DAT file or Excel file format.